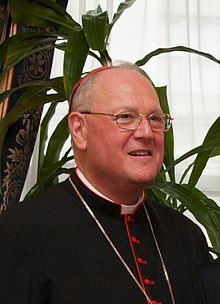 Timothy Michael Dolan (born February 6, 1950) is an American cardinal prelate of the Catholic Church. Appointed by Pope Benedict XVI, Dolan serves as the tenth and current Archbishop of New York. The remarks attributed to John Podesta, who is Mrs. Clinton’s chief of staff, are just extraordinarily patronizing and insulting to Catholics. What he would say is offensive. And if it had been said about the Jewish community, if it had been said about the Islamic community, within 10 minutes there would have been an apology. Every year, of course, our opponents who are well-oiled, and very popular, and who have access to a lot of prestigious support, every year, they say this is over, and the pro-lifers are the extremists. It’s becoming more and more clear that the real extremists are the pro-abortionists. They are the ones that will not allow any dialogue at all. They are the ones who will not allow absolutely any consideration of any restriction on the abortion license, even something as hideous and nauseating as partial-birth abortion. Absolutely not. We do not talk about it. We will not consider it. This is the kind of dug-in, close-minded extremist party, namely the pro-abortionists.